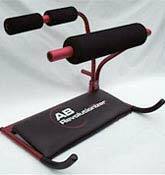 The Ab Revolutionizer makes it easier and faster for you to work both your upper and lower abdominal muscles. 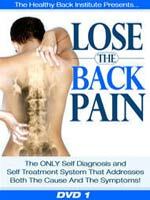 It takes out other muscle groups such as your back and shoulder muscles allowing you to isolate the abdominal area and letting you see tighter abs before you know it. 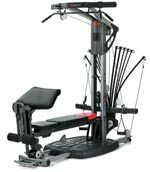 With the Ab revolutionizer, you can avoid back aches or neck pains from doing hundreds of sit ups or crunches with bad form. The padded contour headrest will help support your neck making exercising more comfortable and enjoyable. 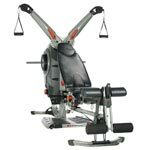 You can also use the Ab Revolutionizer in the comfort of your living room, and the Ab Revolutionizer is the perfect abdominal workout for anyone. 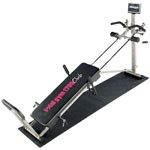 The Ab Revolutionizer can help you achieve stronger, more toned abdominals, and comes with great features.